Iconic actors from two different 1970s family television shows said that their current “Bigfoot” acting project starring together originally began as a rumor two years ago that has now come true thanks to Syfy! 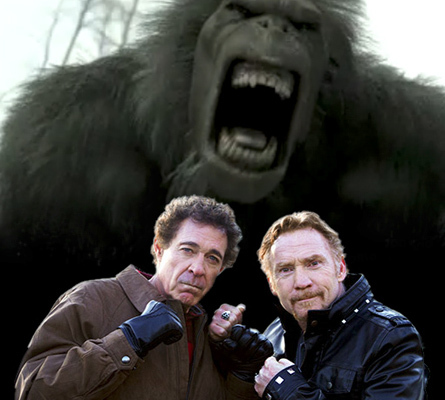 “Bigfoot” starring Danny Bonaduce (The Partridge Family) and Barry Williams (The Brady Bunch). During a recent phone call interview, the two proved to be opposites. Williams said “I love doing a monster movie. It’s great fun to do because it’s only scary when you watch it and not so much when you do it. I’m always interested in something where I have a chance to save the world”. By contrast, Bonaduce responded with “Scary movies are not that scary when you watch them but it was terrifying to make”. Bonaduce and Williams had rock icon Alice Cooper as a co-star in “Bigfoot”. When asked what it was like to work with Cooper, Bonaduce explained an occurrence during the making of the film which was shot in Seattle. There was a snow storm in Seattle. This is unusual for Seattle said Bonaduce. “Snow doesn’t stick in Seattle” he said. So, they (production) had to wait for the snow to melt because the main shot had been filmed already without snow. Bonaduce had to improv with Alice Cooper while they waited. Cooper improved that he hated Bonaduce and hit him with a stick. The legendary Bigfoot that historians of the creature know and and study is one of great elusiveness and rarely seen and if that, tends to scurry off without a fight. We asked the actors why the Bigfoot in this movie seems so enraged, scary and huge in size. Williams answered, “Bigfoot is very very mad.” and explains his character- “You’ve been desecrating the environment, the trees, all of the property, no regard for it. Noise. You’ve got ATV’s going on, all kinds of- and our Bigfoot just is not – he’s fed up. And he want’s something that is more environmentally sound. He’s willing to bite off heads, break people in two and fling them over his shoulder if they don’t pay attention”. Bonaduce said Bigfoot was mad because of him. Filming of the Syfy original movie seemed like quite an adventure for the pair of actors. Williams stated that his favorite part of filming the movie was at the top of Mount Rushmore with Danny. He said “Danny’s character is taking a fall and he’s dangling over the edge and I’m holding on. And he’s holding onto my arm. That was the highlight of the filming”. 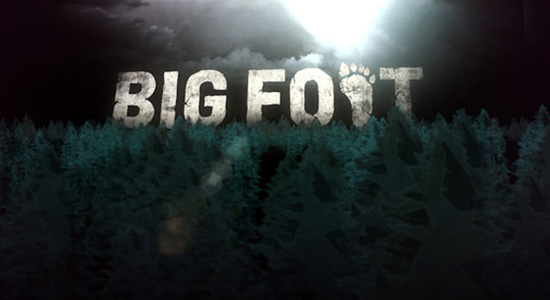 “Bigfoot” airs on Syfy on Saturday June 30 at 9 pm ET/PT.